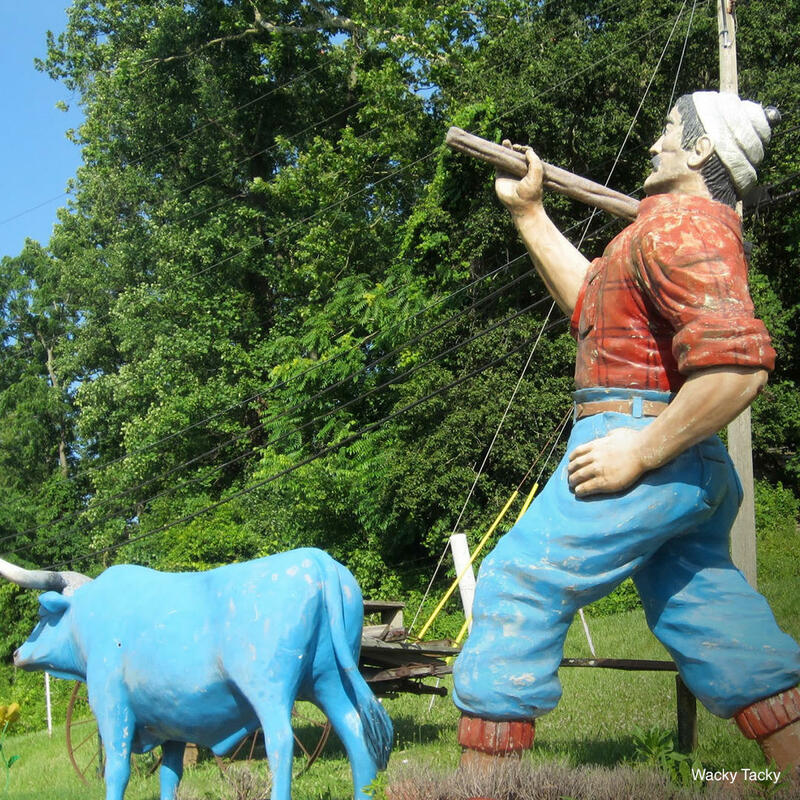 This is probably one of the more interesting Paul Bunyan fiberglass statues found in the nation, posed in a masculine swagger with his axe hoisted over one shoulder. On the other hand, Babe looks like a big blue dog with antlers especially with a leash around his neck. They're both the pride and joy of the Town and Country Supply store which sells everything from feed to farm equipment.